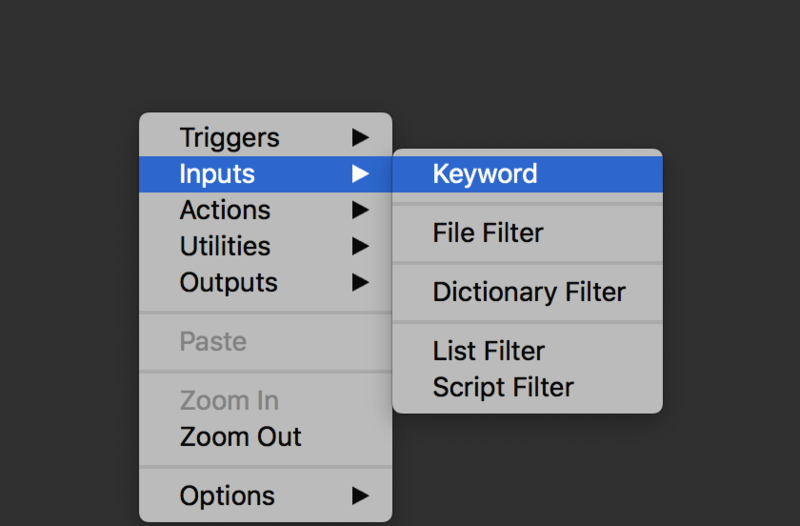 As Markdown markup language gets more and more popular, most people have a need to quickly generate a public url for screenshot/image in clipboard. 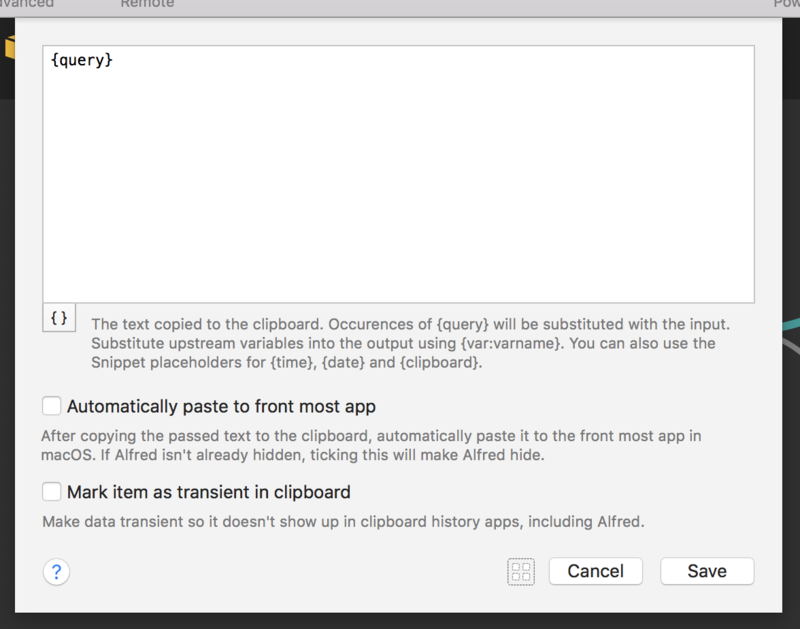 Today I created an Alfred workflow that helps you upload images/screenshot in clipboard. 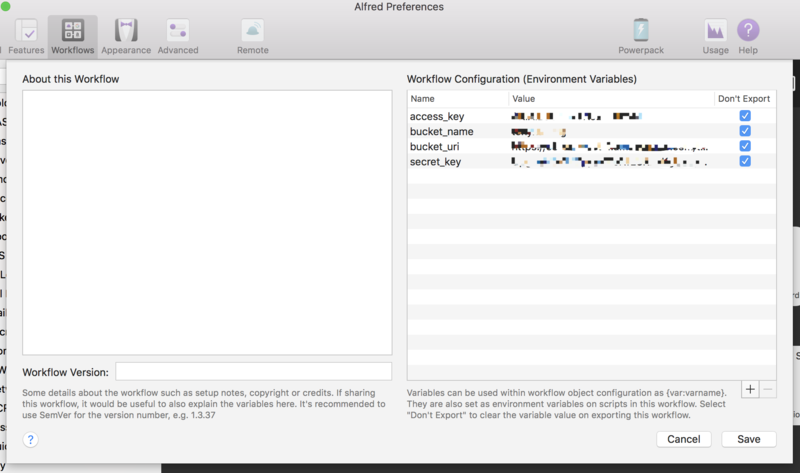 Now we have the idea to achieve the goal, let’s do it in Alfred workflow and python script. print "No image found in clipboard"
This script will return the image public url and let’s copy it to clipboard and push a notification. Please note that pngpaste is a command line tool and you should copy the binary file to /path/to/workflow. 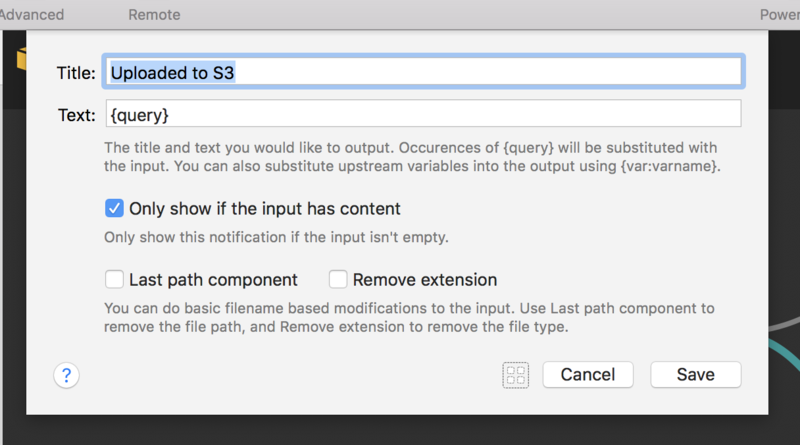 Make sure the user can read/write to S3 bucket. Congratulations You made it! Give it a try! 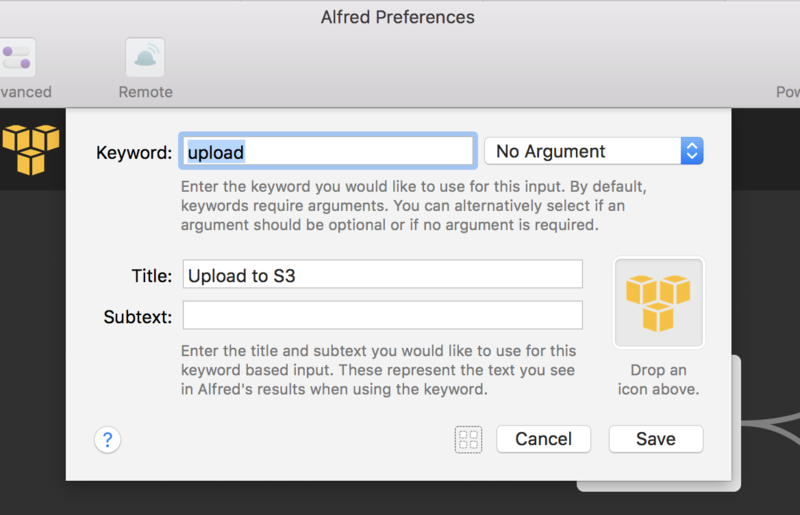 Now you may think of adding support for the workflow to be able to upload any image from local. 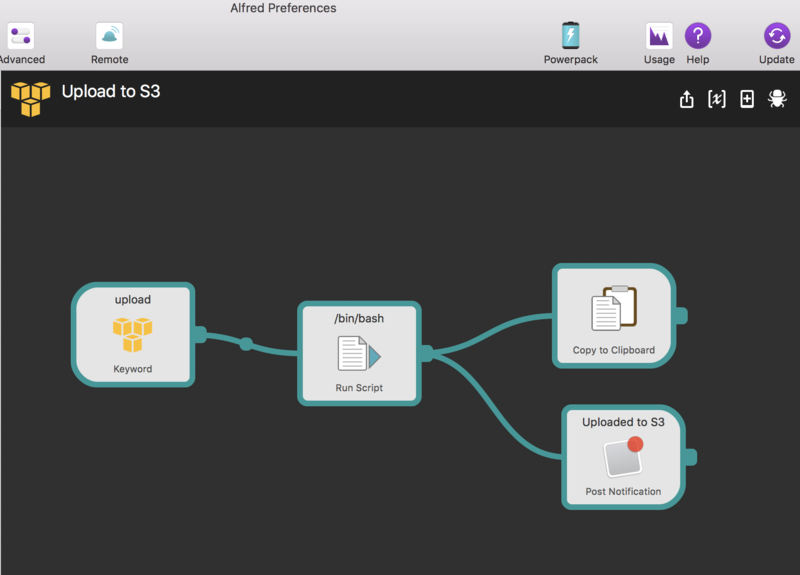 As you are getting familiar with Alfred workflow development, feel free to give it a try!